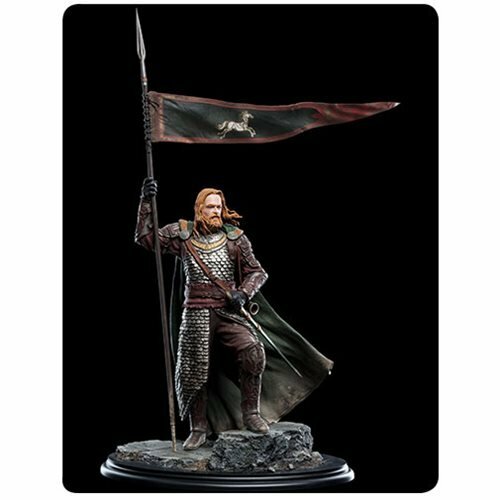 A soldier of Rohan in King Théoden's royal guard, Gamling swore to protect the throne. 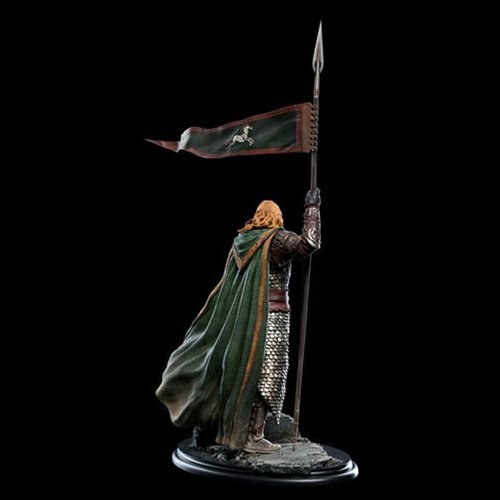 This Lord of the Rings Gamling Statue depicts the loyal solider proudly standing with the banner of Rohan. 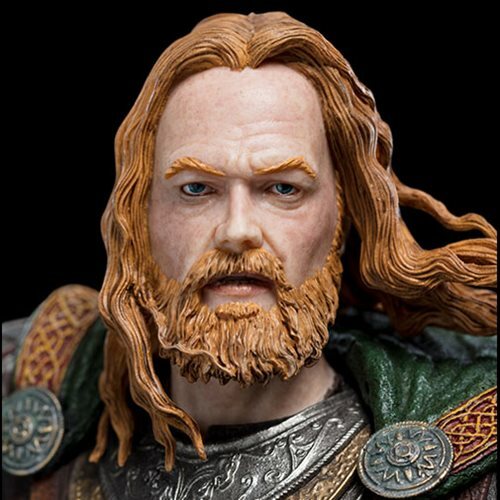 Sculpted by Gary Hunt, this stunning statue stands about 14 1/2-inches tall and is limited edition to 375 pieces. Measures about 14 1/2-inches tall x 10 1/2-inches long. 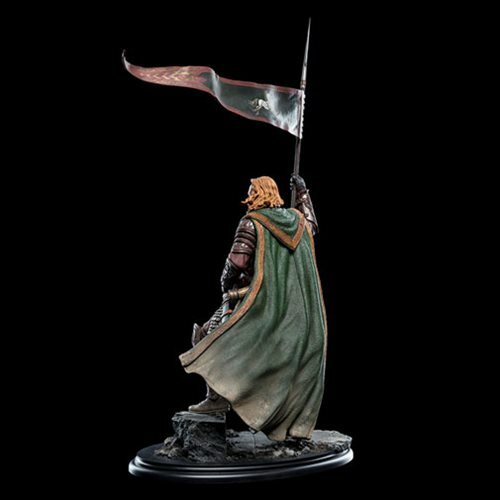 When Théoden mustered the Rohirrim to ride to the aide of Gondor, Gamling was again at his side, resolute and fighting on. 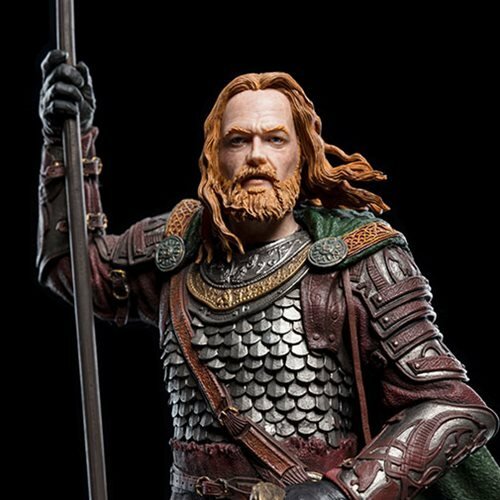 Even in the face of overwhelming doom, such as when the mighty Mûmakil charged, or despair when his lord was cut down, the son of the plains held to his duty, courage in his heart and fire in his eyes.